Taeyang launched his long anticipated comeback today with the music video for 눈,코,입 (EYES, NOSE, LIPS). It’s powerfully soulful with fantastic vocals from Taeyang. I’ve been listening to this song, along with the entire album, on repeat all day. First of all, I love the song. It’s perfect for Taeyang’s voice and I feel myself more and more enthralled with each listen. The music video is simple, taken in one shot with a minimal backdrop. The camera starts with a close up on his neck, and slowly pans out while Taeyang sings the emotional lyrics. The most notable feature is Taeyang’s shirtless figure. While I’m not at all complaining about this decision, I am glad I didn’t give into temptation and watch this video at work. 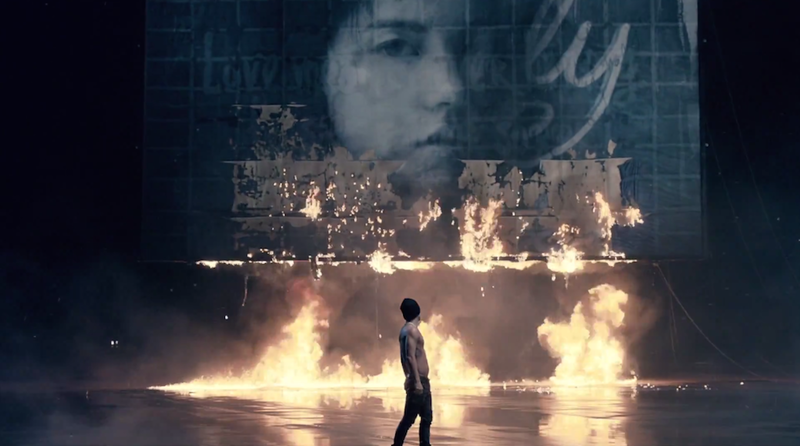 Toward the end of the video, the billboard behind Taeyang goes up in silent flames, illuminating a picture of a girl’s face. Taeyang also finally shows some movement, brining out some of his famed dance skills for the final chorus. The vocals combined with the muted tone made for an impressive video. I wasn’t quite expecting this skilled ballad to be Taeyang’s title track, but I’m not at all disappointed by the choice. I think my expectations were clouded by his last loud and exciting hit Ringa Linga. I almost forgot that Taeyang’s strengths extend far beyond heavy dance tracks. 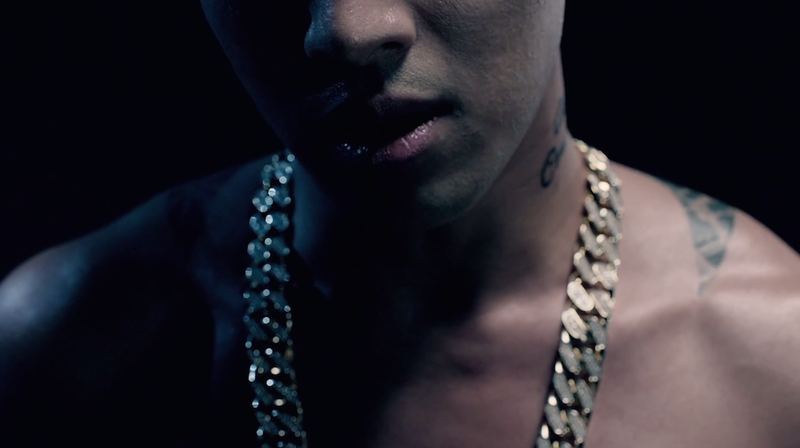 I’m very pleased with the direction Taeyang went with with EYES, NOSE, LIPS. In fact, the whole album is impressive! Watch the full video for 눈,코,입 (EYES, NOSE, LIPS) here. 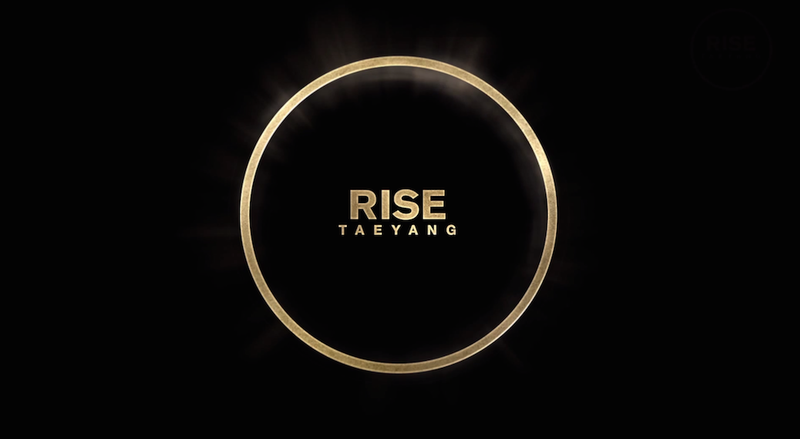 What do you think of Taeyang’s title track for his new album Rise? Are you impressed with the song and MV combination? Please share your thoughts about Taeyang’s comeback below! You can expect a full album review from me soon! Also, be sure check out this awesome interview with Taeyang by Noonchi. Lots of good information here about his thoughts when he joined Big Bang and how he feels about K-pop spreading into a worldwide phenomenon. It’s definitely worth a read! I really enjoy the song. It’s the Taeyang I know and love, so I’m happy that this is the song he made his long-awaited comeback with. At the same time, I do find the music video a bit funny. 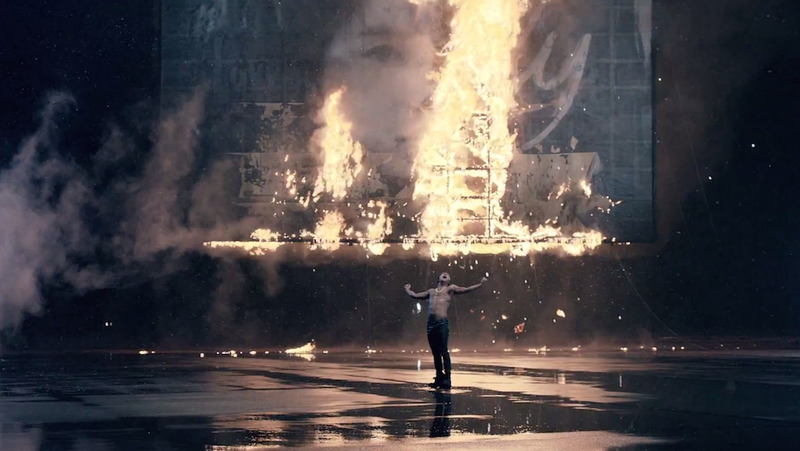 I like the camerawork and the simplicity of it all, but Taeyang standing there all shirtless and then burning a the picture of his supposed ex-girlfriend in the video comes off as too dramatic. I would have rather liked if he’d danced instead. I imagine some kind of interpretive dance to the ballad would have looked really cool, and would have totally carried the emotions better because he’s such a great dancer. More dancing would have been nice in the video! I’m looking forward to the live performance to see if he throws in more of his trademark moves. Overall though I’d say it was a solid comeback. I certainly can’t stop listening to this song! Wow! Fantastic video. I love the feel of it. You did a wonderful job!